Push pins are pretty normal items at the office, but what happens when you have a creative streak with something as simple as a push pin? Why, you end up with something like the €12.59 Insect Push Pins, of course! 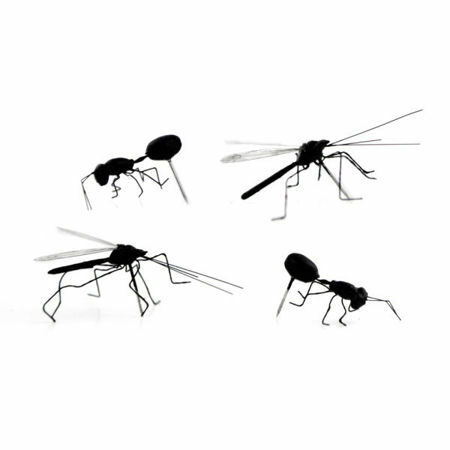 It will definitely add a touch of quirkiness to your corkboard thanks to the Insect Push Pins. The entire quartet of insects will pin up your favorite photos as well as important memos, although you might run the risk of someone actually using a fly swatter to give it a nice whack. Each of these faux insects will measure approximately 1.5″ from antennae to bottom, and they do not get attracted to food or sugar. Even better is, once they are properly pushed into their respective place, they will remain stuck there – for good.